Brentwood - Diane Leslie's Book Group with Author discusses "The Empty Chair"
Diane Leslie's Book Group with Author meets to discuss Bruce Wagner's novel, The empty chair, on Tuesday, February 18th at 5pm. The best part? Bruce Wagner will be joining in the discussion! The empty chair is composed of two companion novellas that illuminate the strength of the human spirit in the face of the random, chaotic nature of our suffering. Two strangers, years apart and at opposite ends of the country, share their stories with the narrator. The first story, “First Guru,” tells the tale of a Buddhist living in Big Sur, who achieves enlightenment in the horrific aftermath of his child's suicide. In "Second Guru," Queenie, an aging wild child, returns to India to complete the spiritual journey of her youth. 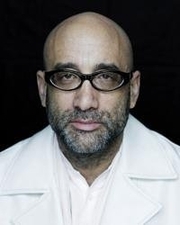 Bruce Wagner is a screenwriter and director, as well as the author of several novels, including The Chrysanthemum Palace (a PEN Faulkner fiction award finalist), I’ll Let You Go, and Force Majeure. He lives in Los Angeles. Please Note: Reservations are required for this event and there is a $20 fee. Critically-acclaimed, bestselling writer Ann Packer reads from her new book, Swim Back to Me. Critically-acclaimed, bestselling writer Bruce Wagner reads from his new novel, Dead Stars. Critically-acclaimed actor/writer/director/activist Michael Kearns reads from his new book, The Truth is Bad Enough. "Spoken Interludes is a critically acclaimed literary salon where award-winning, best-selling, and up-coming writers read their own work. DeLauné Michel created Spoken Interludes in 1996, when the choices for literary events were pretty much limited to poetry readings or signings in bookstores. Since that time, this literary institution in New York and Los Angeles has been covered extensively by publications ranging from The Los Angeles Times, The New York Times, GQ Magazine and has been heard on National Public Radio. Bruce Wagner is currently considered a "single author." If one or more works are by a distinct, homonymous authors, go ahead and split the author. Bruce Wagner is composed of 2 names. You can examine and separate out names.